It’s the worst feeling: You’re standing at your door, digging around in your pockets for those elusive keys, only to realize they’re nowhere to be found. If you have ever stood on your welcome mat in full panic mode, you may be wondering “who does this? !” But this nightmare scenario plays out every day, in doorways across the country. 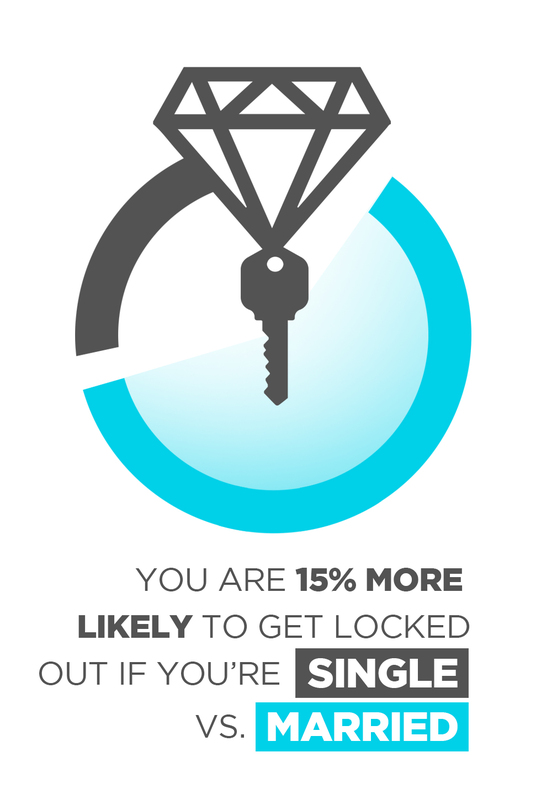 In KeyMe’s home city of NYC, for example, 1.9 million people get locked out every year. 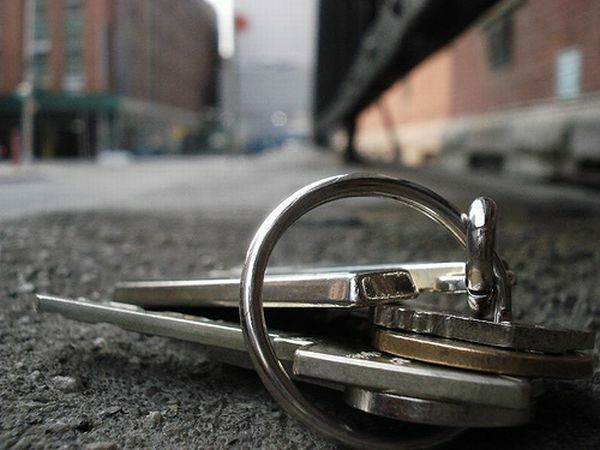 While everyone gets locked out at one time or another, it turns out that certain demographic profiles are more prone to losing their keys than others. In a recent study, KeyMe researchers examined a random sampling from the hundreds of thousands of customers making keys with us. Our research turned up some interesting trends that may surprise you. Many might imagine that the most common time to get locked out is when we’re out and about late at night during the weekend. 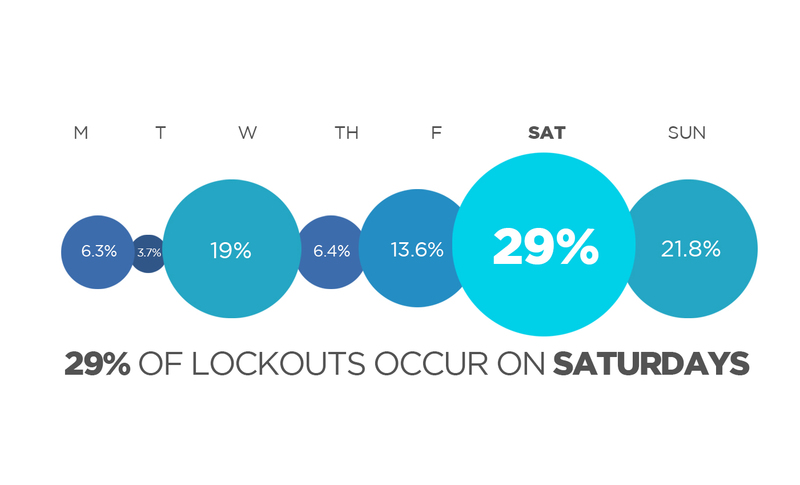 But according to the study, a third of our lockouts occur on Saturday afternoons – twice as many as Friday nights! 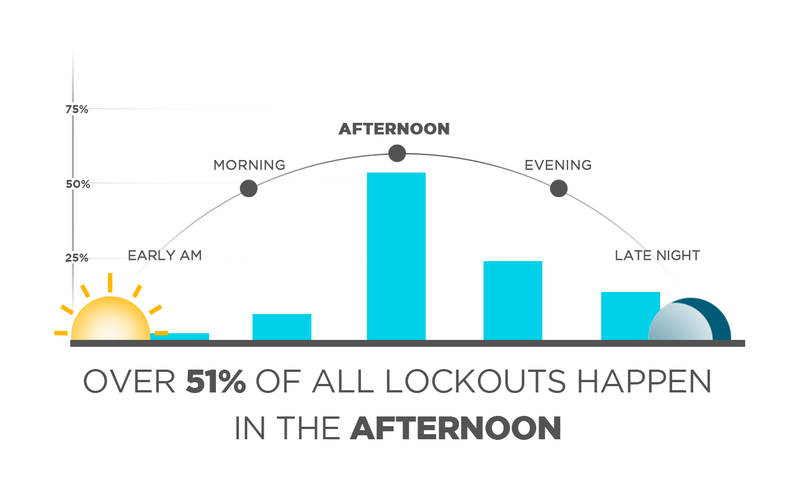 In fact, more than half of all lockouts happen in the afternoon. 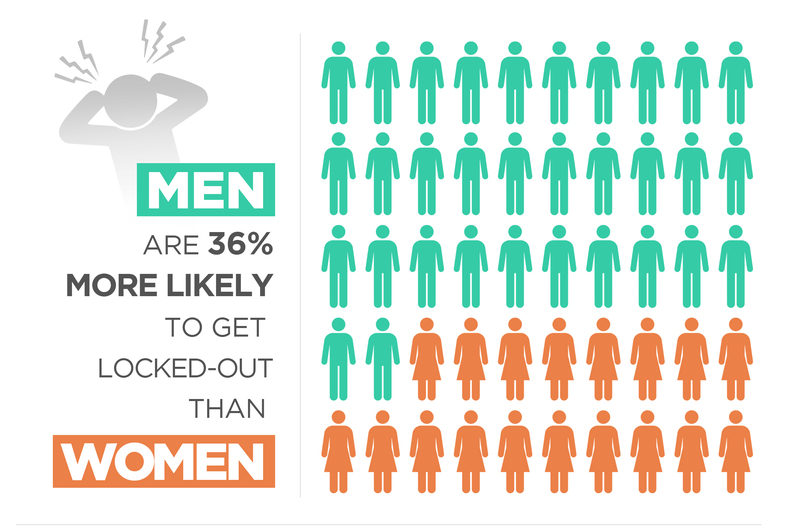 According to KeyMe customer data, men are 36% more likely to get locked out than women, while those who are single are 15% more prone to being locked out than married people. And beware if you live in Philadelphia, where the percentage of residents who will get locked out this year comes in at a cool 42%, topping New York by almost 20%. Here is the full rundown of what we learned. Whether you are single or married; a morning person or a night owl, there’s one surefire way to make sure that when you do lose your keys, you don’t find yourself stuck outside in the cold (or heat, rain or snow, for that matter). Read what others are saying about our study and other lost key solutions on our press page. Visit a KeyMe kiosk or download our app, and save your key today!